Sometimes a tree of particular sentimental value needs to be removed and this can be for many reasons, however the the memories the tree gave you need not be lost with the tree. It may be possible to have a keepsake made such as a bowl or vase no matter the type of tree that’s lost. 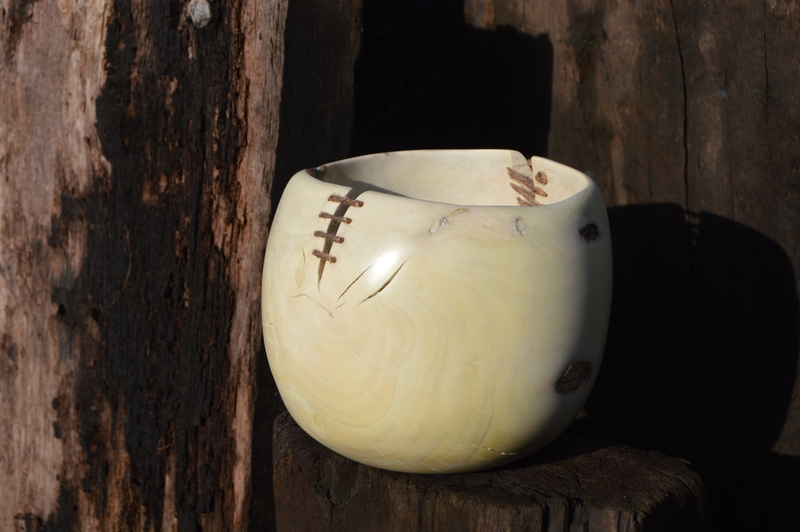 This bowl was turned from a condemned Holly tree ‘Ilex aquifolium’ whilst the wood was fresh and allowed to warp.